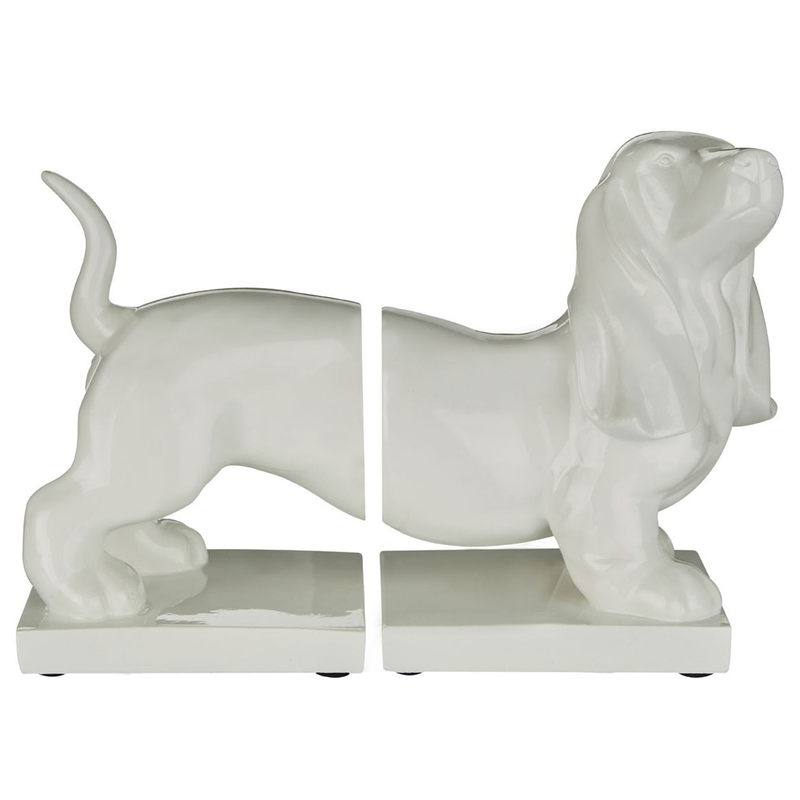 Make your home feel a lot more modern and furnished by introducing this gorgeous White Set Of Dog Bookends. This set of dog bookends features a lovely small dog in a welcoming and friendly position. This piece is created from a sturdy polyresin which is both very stylish and practical, given a white colour to enhance the charming design.